Home  My Gleanings Page  Illustrated Edition - Page 10. Illustrated Edition - Page 10. 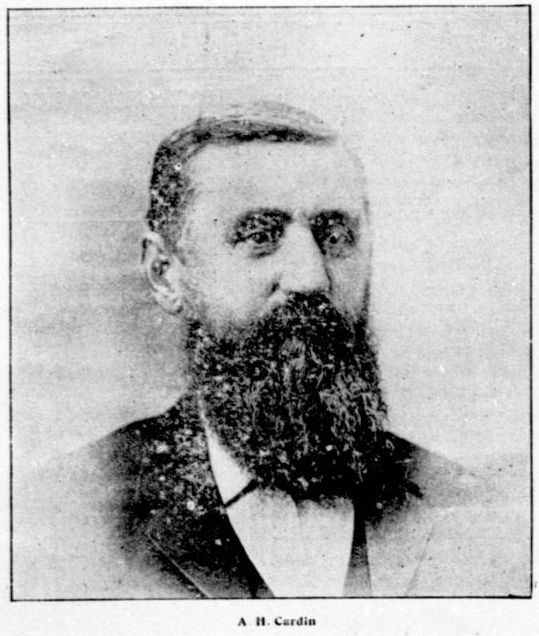 The proprietor of Gum Grove, and one of the leading farmers of Western Kentucky, was born near Richmond, Virginia, in 1836, and was brought up on a farm. He has always been devoted to farming and stock business. In 1845 he came to Kentucky and has since made this his home. About thirty years ago he began buying and wholesaling strips, and leaf tobacco, and that, added to his already extensive business and large operations have wonderfully increased its volume. Gum Grove farm is a beautiful farm of twelve hundred acres, by nature adapted to stock raising, and every improvement in the way of building and fencing has been made that would add to its utility, so that it may well be considered one of the finest farms in Kentucky. It is not only a pride to the owner, but to the people of the county of Crittenden. When farming and stockraising are conducted carefully on scientific principles, such as are used by Mr. Cardin, it is of more value to the country than one at first realizes, but if you will go back even ten years, and note improvement in stock throughout the country you must concede that the importation and care of fine blooded stock marks an era in the history of a country, with increased prosperity as surely fixed as though it was a treaty of peace at the close of a disastrous war. 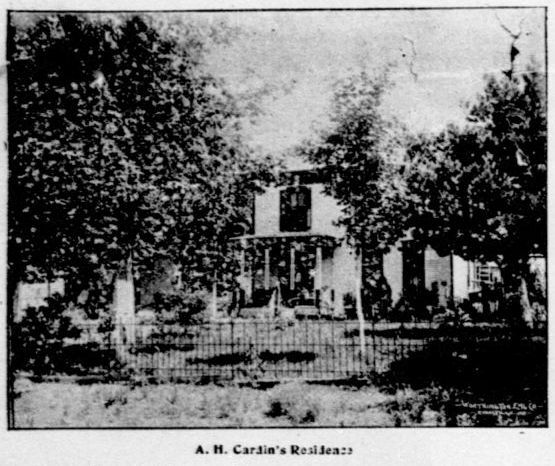 Mr. Cardin has a handsome residence which, with its beautiful surroundings, large shade trees, a good bearing orchard, and all kinds of small fruit, large lawns, wagon and machinery sheds, tobacco warehouse and houses for his tenants that farm the land and prepare the tobacco for shipment, make valuable improvements of a most substantial character. 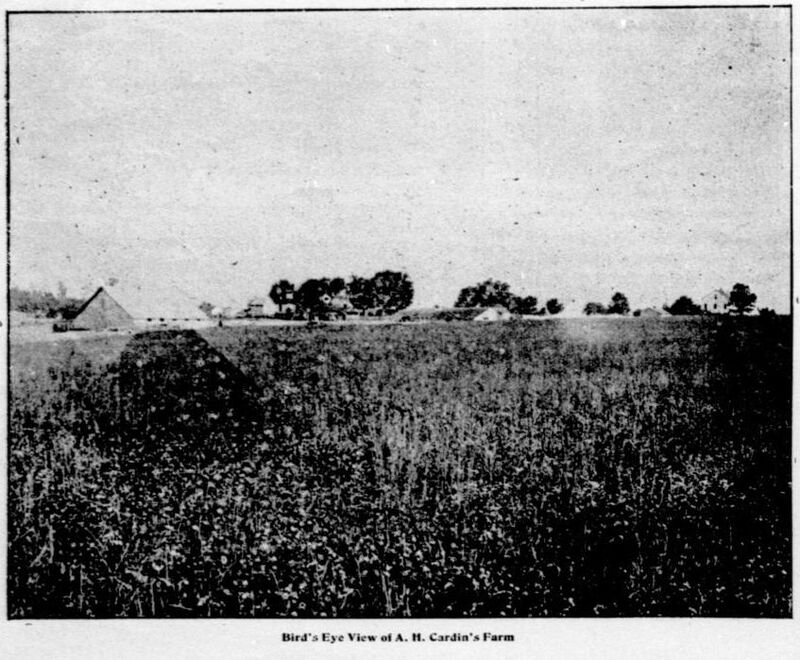 The farm lies on the main road leading out of Marion about seven miles from th[e] city. The land is fertile and yields abundant crops of wheat and tobacco, but the grasses are the staples to which the proprietor gives his attention. Mr. Cardin also owns a large tobacco house in Marion and buys, packs and ships by far the greater part of the tobacco that is sold at this point. He is now disposing of the crop of '93 and sells to large dealers in foreign countries. He has in his employ over one hundred people the year round, and this is of itself an object of no little importance to a town of this size. To this help he pays weekly hundreds of dollars and a great deal of that money goes at once into circulation. He has made Marion a splendid tobacco market and pays good prices for all he buys as he has special advantages in disposing of it. Mr. Cardin was a nominee for Governor on the People's Party ticket and although he did not want the office or even attempt to make a race, received 35,000 votes in a strong Democratic state, which shows his strength and popularity as a citizen; held in the highest esteem by those who know him best. His farm is stocked with the best blooded stock. His cattle are of the Jersey and Hereford strain a fine breed of both and each individual animal is recorded. All animals purchased of him are known to be honestly pedigreed and descendants from a good herd, which has received the best of care, treatment, studied and scientific breeding. With the innate love every Kentuckian has for the fine horse, Mr. Cardin has devoted a great deal of time, as well as money, to the improvement of his horses. Several years ago he brought from Woodford county some of Old Lexington's colts. These proved to be fine brood mares, and from these sprang the splendid roadsters and saddlers that now compose the three score of beauties now grazing on the grassy acres of Gum Grove farm. The present head of the herd is Tom Slasher, a colt of Mountain Slasher, one of the country's famous saddlers. These horses are under the immediate care of James Baker, one of the most careful, best posted and enthusiastic horsemen in Southern Kentucky, every animal he knows by name, and its pedigree is in his mind ready to answer a sight draft. Mr. Cardin will h ave the honor of exporting the first horse ever sent across the waters from this country. He has sold a superb young saddle and harness mare to parties in Liverpool, to be shipped next spring. With the advent of blooded stock, came the necessity for better stock breeding, and our illustration shows how readily the proprietor of this farm supplied the want in that direction; the finest stock barn in the county is on the farm. All in all, Gum Grove farm is an ideal country home. Was born September 18, 1857 in Livingston county Kentucky raised on a farm and remained in farm work until he was thirty years of age. He is a selfmade man having acquired the greater part of his education since he was twenty-one by his own efforts. He realized its benefits and knows full well the struggle and hardship that it required to obtain it. He is recognized as a man of advance ideas and public spirit and has ever been since Marion numbered him in her business fraternity. 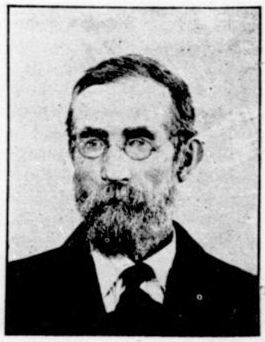 It was in 1888 he began business in this city publishing the Farmers' Advocate, and his early life and early experience in practical affairs was varied enough and of the character to serve as a suitable foundation for this work. He carried it on successfully for sixteen months when he sold out and engaged in the mercantile business finding like profit and pleasure in the world of trade. He is a staunch Democrat and has every taken a lively interest in politics, every ready to work in the way that best serves his party as he desires to know the will of the people. Since his advent here he has always been active in everything that tends to the commerce of the city and respected by all who know him. He deals squarely with all and is a man of sterling worth and deep seated business integrity. His genial disposition wins for him a host of friends, his business, tact and energy place him in a favorable light before the business world and with his contribution of good qualities his future is very bright. He is subservient to the will of the people, yet courageous and ambitious and one of Marion's most liberal and enterprising business men. While Mr. Skelton's first pride is his town, yet he is not so narrow minded as to lose his interest in the entire state else he would not be one of her true citizens. As a wide awake business man no dust is allowed to accumulate on his undertakings and although the responsibilities place upon him are many and varied, he has ever been equal to the burden and he is a gentleman in whom his adopted city as well as his host of friends in his native state take great pride. J. W. ADAMS & SON. This firm does blacksmithing and repair work of all kinds in a workmanlike manner, for 'tis this that has brought to their shop such a large trade. No need have they to be idle for they are never out of work, and the people have learned that when a job is placed with them it will be well done, for they work on the motto, "what is worth doing at all is worth doing well," and it has proven invaluable to their customers, and has been the chief instrument in the upbuilding of such a large business. 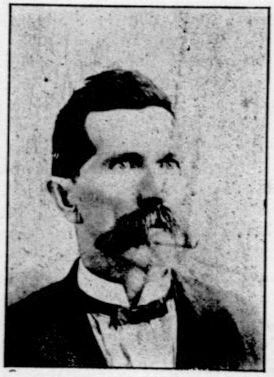 J. W. ADAMS was born in Knox county, Tennessee, in 1826. 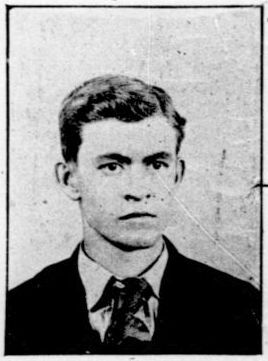 He began working at his trade at the age of one and twenty, after a residence of one year in Crittenden county. He worked as an apprentice for three long years, under the instruction of a competent workman, then began business at his own forge. His son, A. R. ADAMS, has been at the work ever since he was old enough to blow the bellows, and they now own a thoroughly equipped shop, with three forges and the latest improved tools and machinery. The shop is left largely to the charge of the junior partner, as J. W. Adams is the jailer and has made a good officer, being merciful as well as just. He is one of the most highly respected citizens of Marion, an active, earnest christian man whose kindly manner has won hosts of friends. He owns a good property in the city, and never allows himself to stand in the way of public improvement, but helps with his time, money and influence. Was a practicing physician for over sixteen years. He has for a long time been deeply impressed with the fact that but few people wearing glasses are perfectly fitted, and in many cases the glasses as worn are really injurious, while those that would fit would be of great help and make the vision perfect. This led him two years ago into making a specialty of this work. His home is at Providence Kentucky and he visits fifteen towns in the month and staying about two days in a place. Marion is one of his points and that he reaches about the 12th of each month, staying two days. He is provided with everything that can be of use to him in testing the eye, and his knowledge of medicine renders him valued assistance for in many cases the condition of the general system is the sole cause of the derangement in the vision. Mr. Longnecker is an honest, reliable gentlemen [gentleman], sixty years of age, whose large general practice was abandoned in order that he might devote his entire time to opticial [optical] work, he has made it a special study so he is thoroughly qualified to test the eye, fit the glasses and make any changes as they weaken or gain in strength. He carries a full stock of the best eye glasses of all kinds and respectfully invites the public attention. He also furnishes the finest imported glass eyes of French manufacture and fits them perfectly. Dr. Longnecker warrants all of his work and if not satisfactory when you first see him he will right everything on his return. No one suffering with imperfect sight or poorly fitted glasses can afford to miss this opportunity. Remember the 12th of every month. A city's business prosperity and enterprise, commercial solidity and material wealth, are as clearly indicated in the extent and general features of its business structures as in the character and extent of the business transacted therein. Marion fairly illustrates that fact. The focal point of an immense trade, coming from an unusually rich country surrounding here, and controlled by a class whose intelligence is of the highest order, all the conditions necessary to make her a progressive city exist, out of which has come the demand for stores of metropolitan proportions, that indicate the city's present rank and ambitions for the future. 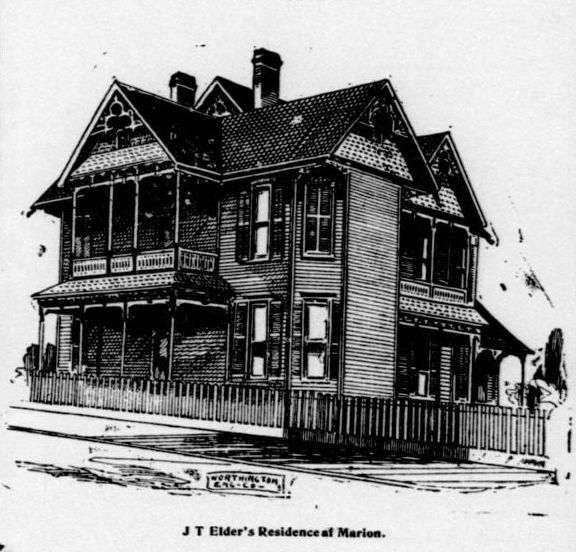 Then, too, there is that kindred feature, and of equal prominence wherever existing, which is constituted in the fact that in every city there are certain popular and representative houses, whose reputation and control of trade are founded upon the completeness of their stock and the enterprise and reputation of a fair dealing enjoyed by the proprietors. All these characteristics are exemplified in the establishment of Pierce-Yandell-Gugenheim Co. which is recognized as a leading dry goods house. 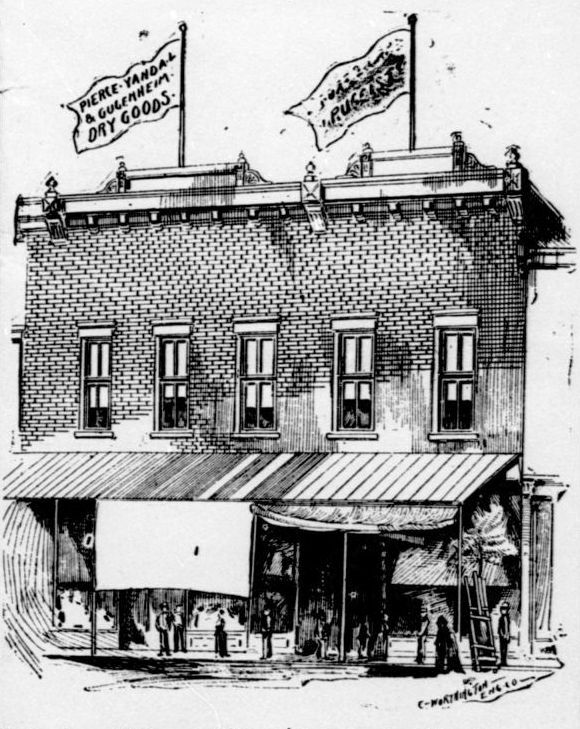 This company is incorporated with a capital stock of $40,000, and its members the popular dealers in dry goods, clothing, notions, hats, caps, boots, shoes, etc., with the whole stock arranged in suitable departments, and displayed in fine shape, showing the visitor or prospective purchaser at the store by a single glance that their goods are of the latest styles and best quality. The building occupied is a two-story brick, 25x100 feet, located on the east side of the square. The interior of the building is "a thing of beauty and a joy forever." It is elegantly furnished in regard to shelving, counters and cashier's desk, every appointment being complete, and a fine stock of goods is displayed in regular city style. One is first attracted by the beautiful displays of goods in the show windows, for they represent the stock in miniature, and as they are different every day one can always find just what suits. 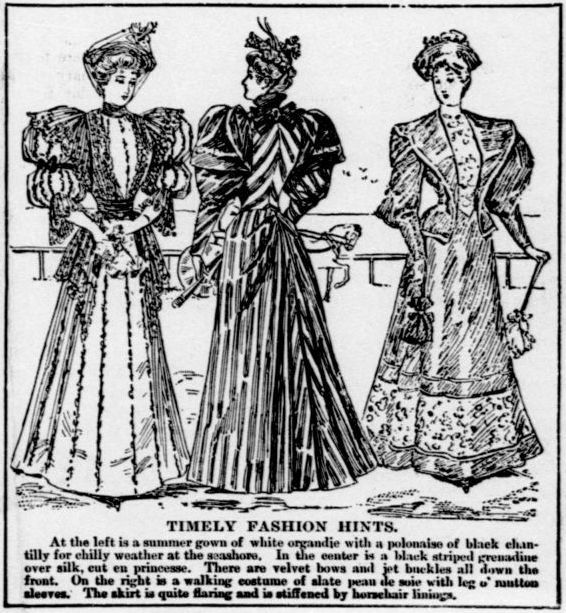 They carry a select stock of dress goods in the prettiest of wool and silk, together with the more substantial and seasonable goods; an elegant assortment of laces and dress trimmings, makes it possible to get the most fashionable and stylish dress patterns complete, up to date in every particular, even the prices are made to suit the times. In close proximity are the domestic, ginghams, prints, table linens, and notions, such as gloves, corsets, hose, ribbons, collars, and gents furnishing goods. The shoe department is under the pressure of a large, well selected stock, as they carry only goods of standard make, such as their experience has taught them will give their customers the very best of satisfaction. The second story is filled with a stock of clothing that is attracting more than usual notice for its contents are such as make it valuable to every purchaser of men's and youths' clothing, the clothes being of the best make, while the work and cut of each piece makes it a neat, well fitting garment. They also do a large business in taking orders for tailor-made garments, insuring a fit in every instance, and can suit you either in their stock or samples. This store is under the management of Sam Gugenheim and W. B. Yandell, shrewd business men, close buyers and experienced in general trade. The impetus given to the trade of Marion by the capital and enterprise of the firm of Pierce-Yandell-Gugenheim Co., is not unrecognized, and the general consideration with which the firm is regarded is the natural outgrowth of a career that has embodied the highest principles of commercial integrity, public spirit and personal honor, combined with unceasing industry and enterprise. Source: Crittenden Press. 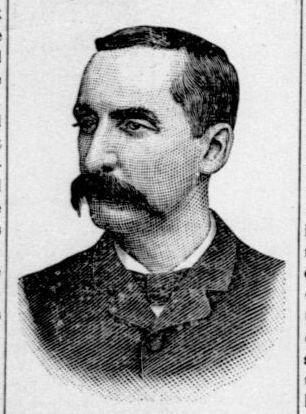 (Marion, Ky.) 1879-1907, August 16, 1894, Image 10 - Chronicling America - The Library of Congress.